MILFORD, Mich., – MIPRO, a Milford, Mich.-based consultancy specializing in implementations, upgrades and optimizations of Oracle’s PeopleSoft applications, announced today the hire of 25-year industry veteran Timothy Schinke as Director, North Central Region. MIPRO Managing Partner and CEO Jim Prokes made the announcement. Based in Minneapolis, Schinke will work to expand on MIPRO’s success in Illinois, Minnesota, Wisconsin, Iowa, Nebraska and the Dakota’s. His ability to manage and build relationships with PeopleSoft customers throughout the North Central region will be critical in this role. Schinke graduated from the University of Minnesota with a Bachelor of Arts in marketing and management. 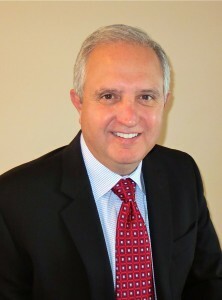 He possesses more than 25 years of sales leadership experience with demonstrated expertise and success in selling enterprise resource planning software, such as customer relationship management, human capital management and financial solutions across industries including health care, financial services, high tech, retail and manufacturing. Schinke worked for PeopleSoft in a variety of sales roles; last serving as the vice president and managing director for the North American inside sales and channels organizations. Most recently, he served as vice president of global sales for the Talent Technology Corporation. He previously held positions with Winthrop Resources Corporation, Salesforce.com, and SAP America, Inc. Founded in 2005, MIPRO has a single point of focus: deploying PeopleSoft implementations, upgrades, optimizations and training for maximum strategic benefit, including PeopleSoft HCM, PeopleSoft Financial, PeopleSoft ALM and PeopleSoft SCM, as well as solutions relative to Business Intelligence and Fusion. The Milford, Mich.-based consultancy is driven by passion for three things: employing the best in the business, success of its clients and the PeopleSoft product. To learn more, visit www.miproconsulting.com.